Service can be hard but rewarding. The Success Through Academics, Resiliency and Service (STARS) program at the Ann Richard’s School for Young Women Leaders helps our students learn the importance of giving back to the community and gain new skills from experiences they never would have had before. 1. Establish guidelines and expectations. Through service, students experience deeper learning while also developing important skills like teamwork and problem solving. But, it’s important to have clear guidelines and expectations for students so they can explore their interests and focus on their strengths. Encourage students to focus on broad experiences when they are in middle school and then they can focus on deepening interests in high school. 2. Engage local nonprofit organizations. It can be difficult to connect students with safe and reliable volunteer opportunities in your community. Building relationships with local nonprofit organizations is critical so that you are able to offer diverse volunteer opportunities for students that meet their needs and interests. 3. Provide on-campus service activities. Some nonprofit organizations have volunteer age restrictions. If you’re starting a service program with younger students, offer on-campus opportunities so younger students can participate by volunteering at school. On-campus activities can also eliminate transportation barriers for students who may not be able to travel offsite. 4. Allow students to reflect on their service. Keeping track of service hours is great, but in the end it’s the impact that really transforms a student. Incorporating a reflection component to your program can help students discover the personal impact of service. And, when students talk about their most impactful experiences, other students may feel inspired to serve as well! 5. Go digital with x2VOL through Naviance. Going digital has made it so much easier on our teachers and students by having one place to submit and track service activities and eliminating paper logs. Students also learn accountability by having to log their hours into the system and record accurate activity and contact information for verification. Remember, your service program is always a work in progress! Sticking with your program and improving year over year will create a lifelong culture of service within your school and your students. 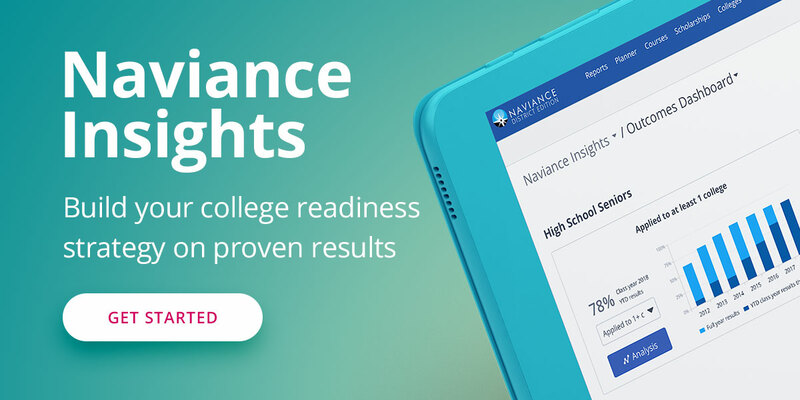 For more information on how to maximize and improve your student service program with x2VOL, download our webinar or contact your Naviance account manager.